Line a buttered 24cm pie dish with the pastry. Cover the pastry with greaseproof paper, put some dried beans on top and bake for 25 minutes. When the pastry is done, remove the paper and beans and leave it to cool. In a small bowl, mix together the custard and lemon zest, and pour it on to the pastry. Place the bilberries on top. Melt the jelly in a little water for 2 minutes on a low heat in a small saucepan, stirring. Pour the jelly over the bilberries. 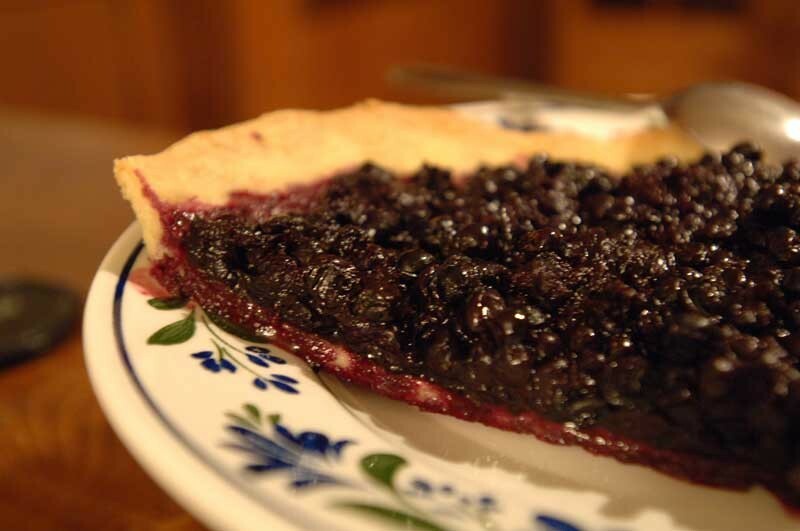 Put the tart in the refrigerator for at least 1 hour or until the topping has set.